North Carolina A&T’s Department of University Relations works to deliver consistently high-impact communications for our university through focused messaging and compelling visual presentation. 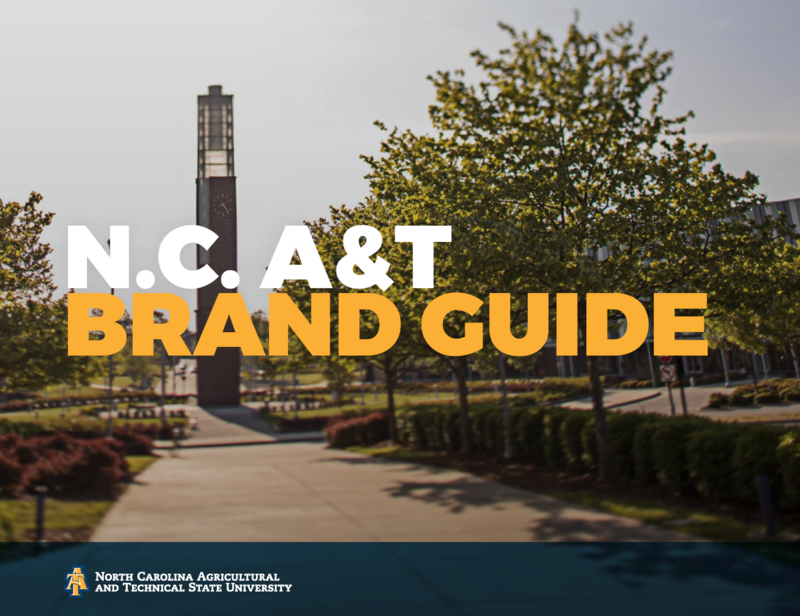 Use the Brand Guide and other tools through the links below to access standards, guidance and resources to ensure your contributions to A&T communications are on point. Need additional assistance? Contact University Relations at (336) 256-0863. While the Brand Guide linked above is now our primary brand document, users should continue to refer to this guide for multiple downloadable assets, including A&T logos, Aggies DO wordmarks, spirit symbols and youth marks.